Tetley, a wholly owned subsidiary of Tata Global Beverages (formerly Tata Tea ), is the world’s second largest manufacturer and distributor of tea. Owned by India’s Tata Group, Tetley’s manufacturing and distribution business is spread across 40 countries and sells over 60 branded tea bags. It is the largest tea company in the United Kingdom and Canada and the second largest in the United States by volume. The Ambrosia creamery was founded in 1917 by Albert Morris, in his home village of Lifton, on the Devon-Cornwall border, to make a rich food for infants. He took milk from local farms, where most of the cows were the Red Ruby breed, and dried it with roller dryers. The product soon came to the attention of the British military, who took significant quantities for its soldiers, still fighting the first world war. 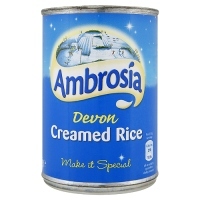 Just prior to the second world war, the Ambrosia creamery was the first company to start making creamed rice pudding ready in a tin. Following the outbreak of war the vast majority of production was placed in Red Cross food parcels. After the cessation of hostilities Ambrosia relaunched the product, along with a creamed macaroni pudding. In 1957, following increasing demand, the creamery opened a new factory near to the original production facility. In 1990 the entire company was acquired by Colman’s ltd., a famous brand of mustard. This in turn was bought out by Unilever in 2001. Unilever sold the brand on in 2004, to Premier Foods, where it is still a core brand, alongside others such as Bisto, Branston and Hovis. Bovril is the trademarked name of a thick, salty meat extract, developed in the 1870s by John Lawson Johnston and sold in a distinctive, bulbous jar. 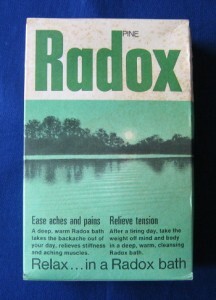 It is made inBurton upon Trent, Staffordshire, owned and distributed by Unilever UK. 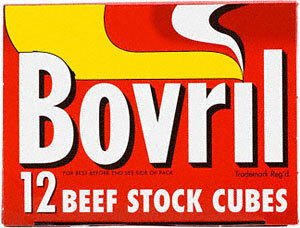 Bovril can be made into a drink by diluting with hot water, or less commonly with milk. It can also be used as a flavouring for soups, stews or porridge, or spread onbread, especially toast, rather like Marmite. In June 2009 Radox launched the Be-Selfish campaign, alongside celebrity commentator Jenny Trent-Hughes to encourage women to take time out of their day for themselves. In September 2009 Radox teamed up with celebrity author Kathy Lette to write the novel ‘All Steamed Up’, that became available free online. 1977 Stork Margarine featuring Bruce Forsyth. 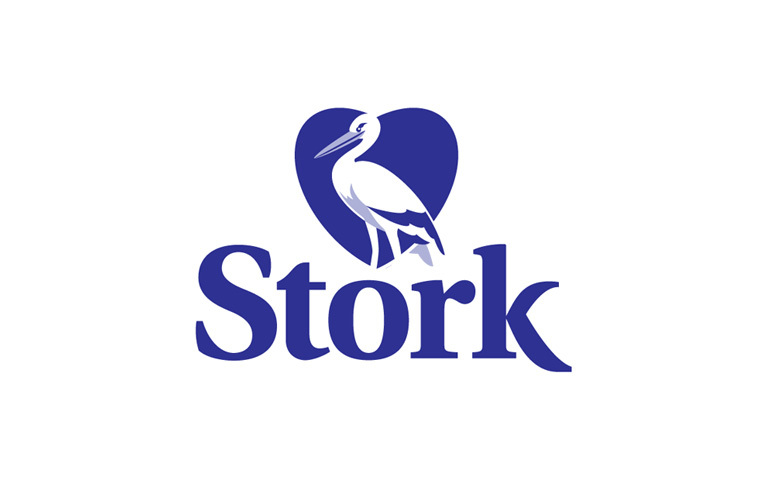 Stork is a brand of margarine spread, owned by Unilever. Introduced into the United Kingdom and Ireland from 1920, housewives were initially suspicious of the health affects and cooking ability of margarine. As a result, it required a large amount of advertising in the 1930s to increase usage, supported by the Stork sponsored Radio Lyons featuring the band of Carroll Gibbons. It was on with the onset of World War Two and rationing of butter that sales began to rise, in part driven by the Stork Cookery Service. During the war, a lorry carrying Stork margarine overturned on the A531 road near Heighley in Madeley, Staffordshire, resulting in people coming to try to salvage its load. Today, the location is known as Margarine Corner.